Sturgeon Bay Charters leaves from Fort Drummond Marine when fishing for Salmon/Lake Trout/Herring. For Perch they leave from WA-WEN RESORT. 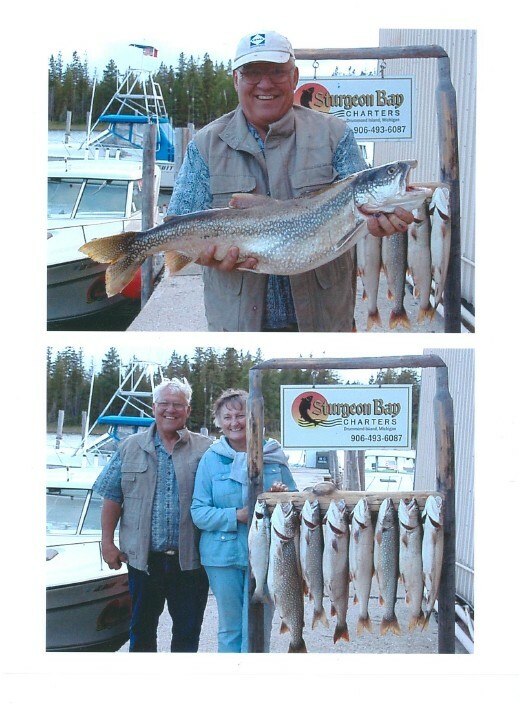 They do Charter fishing for Salmon / Lake Trout and Herring. They clean and package all fish caught. They are inspected by the Michigan DNR and licensed by the US Coast Guard.